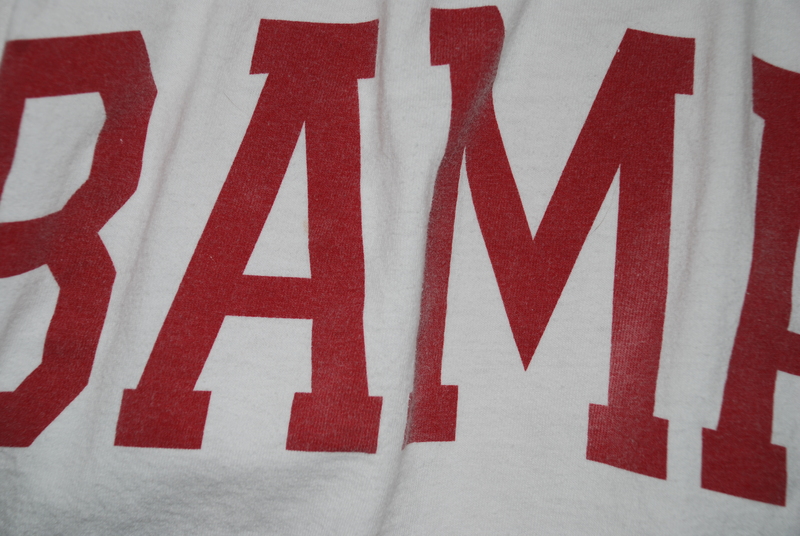 My wife is mad, but Alabama remains undefeated by winning 26 – 21 over Auburn. Next week she’ll simmer down an route for BAMA #2 as they take on the #1 Gators. (She better find my other Ala sock, cause we’re going to need it. Yeah! The lucky sock helped us score two field goals and now were within striking distance. Auburn still leads by 1 or 21-20 in this neck-to-neck Auburn vs Alabama game. 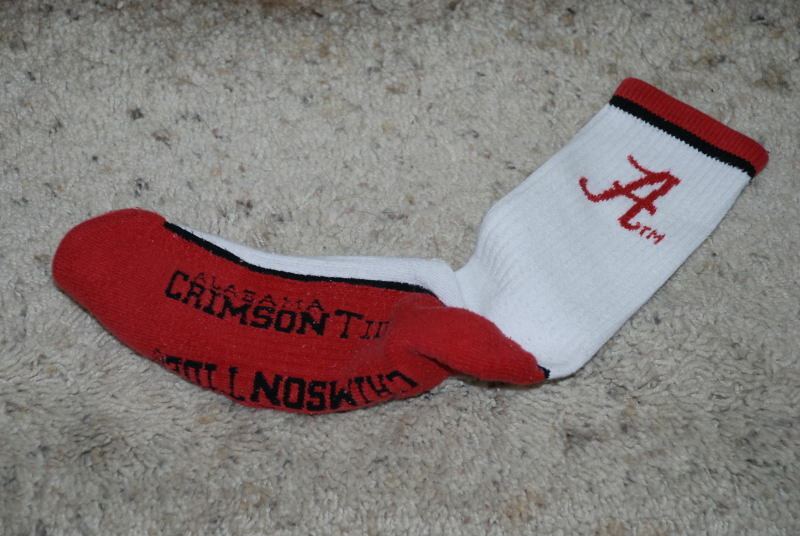 My wife hid my left sock so it looks like BAMA will have to do it on their own.